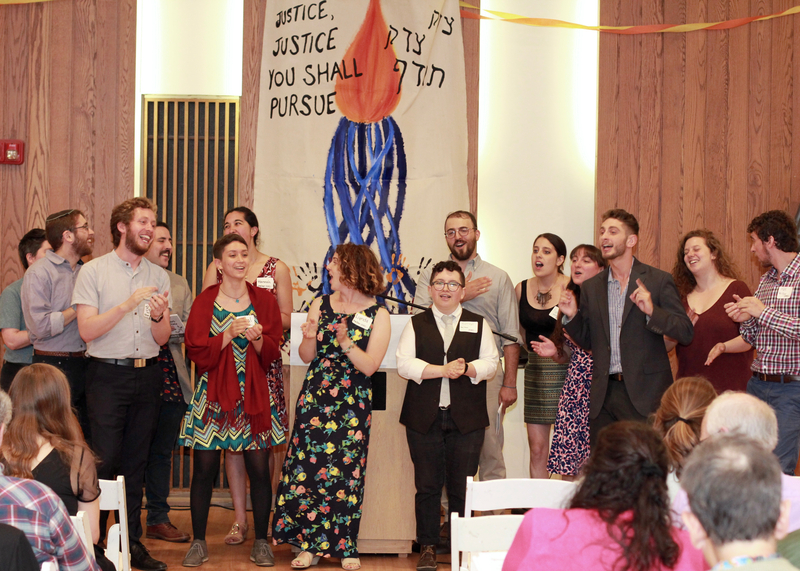 On June 26th, more than 170 people gathered to celebrate with the 14 Fellows at JOIN for Justice’s Siyyum Graduation. The evening was an incredible gathering to support our graduating 2017 Jewish Organizing Fellows. It was an evening of inspiration and love, and one which demonstrated how this graduating class has risen up together through their work this year. And as the crowd listened to their stories, they demonstrated that there is a community standing behind these powerful young leaders as they work for justice in Boston and beyond. If you weren’t able to join us at Siyyum, you can watch their stories below and get a taste of their experiences as Jewish Organizing Fellows. Prepare to be moved, inspired, fired up, hopeful…and most of all ready to join them in transforming the world as it is into the world as it should be. This entry was posted in Fellowship, General, Our News, Siyyum. Bookmark the permalink.